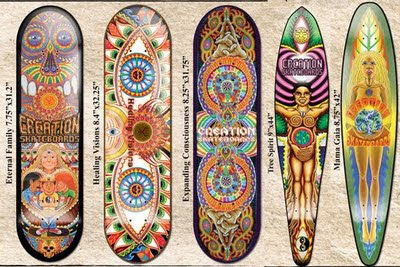 Creation Skateboards, is the awesome rootsy company from San Francisco, California, that I have been doing art for over 5 years now. They just put our their Fall '09 Catalog with 5 boards of mine. Find where you can purchase them at www.creationskateboards.com or from me.